is the little brother of the full version 3.3. Setup of the new “lite” version is the same as on full version, but sets (and patterns) of lite version and the version are not compatible. 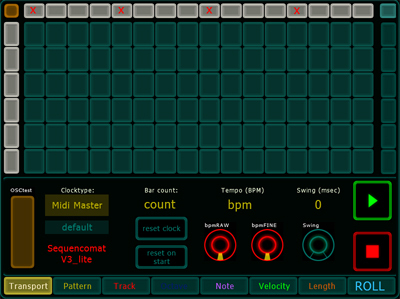 To run both sequencers at once, make one a midi clock master and the other a slave….. or slave both to another clock source. 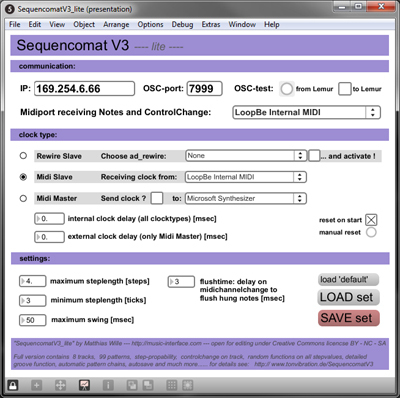 SequencomatV3_lite is available in the Jazzmutant user section…. for free! However there is still a noticable gap between free lite and paid full version. To illustrate: While full version is 5.8 MB, the lite version is only 2.3 MB. Complete manual of full version and setup here.